Well, the big day has been and gone. You’re married now! Congratulations! It was probably a wonderful and special day, made even more so by having your friends and family there to see one of the biggest moments in your life. Unfortunately there’s a good chance you’ve now been bought back down to earth with a bang as you’ve remembered you have to send wedding thank you cards and notes out to those friends and family. They may have bought or sent you a gift, a lovely card or just attended the big day, all of which you will want to thank them for. But what is the right thing to say? How long should the note be? When should it be sent? And how do you express your gratitude in the best way possible? 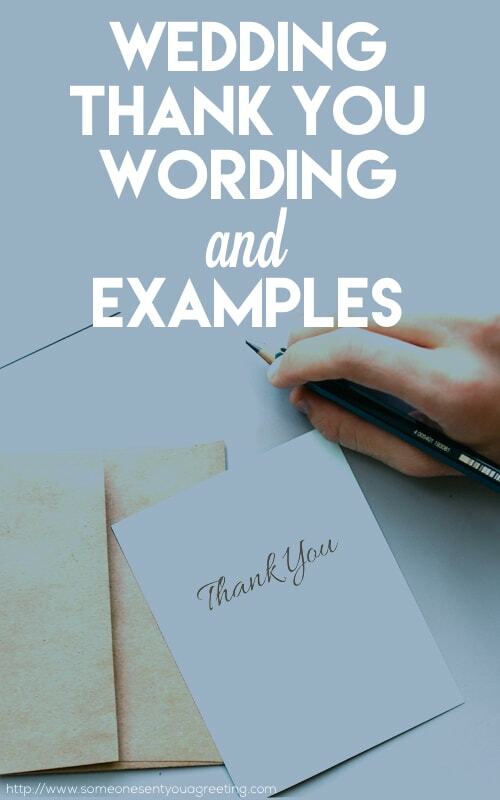 Fear not, as we’ve put together this guide to help with all your questions and worries, covering wedding thank you card etiquette, what to do and not to do, as well as providing a large selection of wedding thank you wording examples.